A regular inspection of commercial properties and facilities is an excellent way to prolong the useful lifespan of a property. Aside from that, it can confirm that the building complies with all safety and other regulations. Even property owners can benefit from regular inspections as they may notice small issues before they turn into large and cause huge damage. The process of inspection involves a thorough assessment of relevant building areas, including the structure, exterior, interior and internal systems. The inspector will usually include any imperfections in the report that he will deliver once the inspection is done. Now, let’s take a closer look at the process of inspecting a commercial property or facility. The main goal should be to determine whether the facility is structurally sound. However, a professional building inspector will always ensure to start with the basics. That means that they will write down the characteristics of the site and the building. They will note the type of construction used for the building, as well as various materials that the builders used in the process. The inspector’s task is to estimate the state of the structural frame and the building envelope. They should determine how old the materials used are and what their current condition is. The foundation should be checked for any potential cracks, bulges or leaning, while mortar joints could be crumbling, loose, or missing. To protect the privacy of these individuals, all names have been changed for this story. The list of building systems that the inspector should check is quite long and includes mechanical, electrical, plumbing, heating, ventilation and air conditioning mechanisms. When inspecting electrical systems, they should consider that power circuits are capable of running all devices in the building. 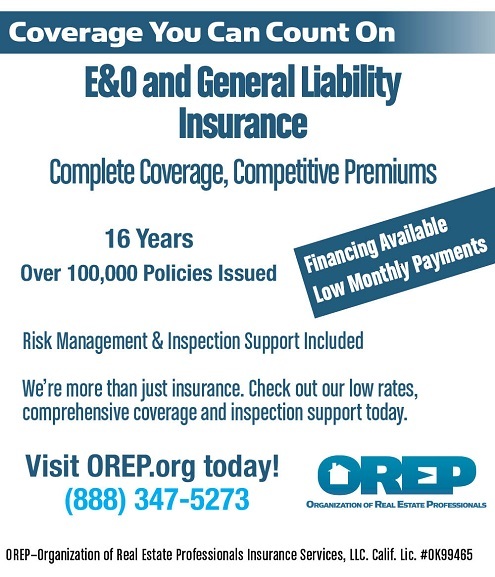 Fires are often caused by an overload in the electric system, which is why special attention is required in that area. The condition of service wires, switches and outlets is also a part of the electrical inspection. Some inspectors may also try to predict what will be demanded from the electric system in the near future to prevent potential problems. An adequate sanitary drainage system also plays an important role in the proper functioning of commercial properties and facilities, which is why every inspector should check that too. Adequate water pressure and flow should be secured to plumbing fixtures throughout the building, while the sewer connections should work properly. In essence, checking all the internal systems comes down to determining whether they function properly and noting if they are in good condition. The report must specifically mention if there is a system that is not working. The exterior inspection begins with parking lots, driveways, and sidewalks. As these areas endure the most foot traffic, the inspector should note any potential dangers, including depressions, heaves, deteriorations and cracks. Do not forget the landscaping that may potentially cause damage and storm drain which also needs to function properly. Roofing elements are an essential thing to consider when inspecting the exterior. Your main focus should be on any potential places where the water could enter the facility. It might be a good idea to inspect the property on a rainy day as it will give you an excellent insight into weak spots overall and not only on the building exterior. Pay attention that the gutters are not clogged, corroded or rusty. In some cases, they may be tilted, loose or missing and the inspectors should write that down too. Next, inspect the exterior walls for possible imperfections. That may include wet spots and other potentially serious problems or small issues such as peeling paint. Make sure to also look for potential infestation signs and if you are inspecting wood siding, should search for potential rot or other forms of damage. One of the considerations when inspecting a commercial property needs to be the interior. As you might assume, no stone should be left unturned, which means that all rooms and facilities should be inspected. The general interior inspection usually starts by checking the basement and crawl space to ensure that there is no problem with rainwater, excess moisture, or mold caused by it. The next step is to inspect walls where the inspector should look for any cracks or leaks, as well as stains, wet spots, or potential termite or insect infestations. If possible, the causes of the imperfections should be determined, so the process of repair is more manageable. Floors also play a vital role, and cracked boards or other forms of cracks and holes should be noted. 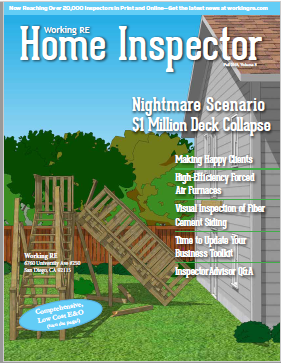 Some inspectors will also look for squeaking boards and inspect carpets for potentially worn out, stained, or otherwise damaged areas. If there are any stairs, their condition should be checked to ensure that they are safe. The final location is the attic and the potential problems there, such as water or smoke leaks, mildew, nests, ventilation blockages, or improper insulation. In most cases, the inspectors will consult the Americans with Disabilities checklist and assess the commercial property based on those recommendations. The ADA has four different priorities for accessibility. Accessible approach and entrance are at the top of the list, while the next priority should be access to services and goods. Persons with disabilities should also have easy access to public toilet rooms. Once that is secured, access to water fountains and other items in the facility can be discussed. Just like in other areas, the inspector should list potential barriers and maybe even suggest potential solutions to remove them. This may not be the favorite part of the job for an inspector, but they also need to focus on reviewing various documents relevant to the commercial property they are checking. This should include construction permits, building plans, maintenance records, floor plans and environmental studies. Other documents that are often reviewed are fire and emergency safety systems, as well as evacuation plans. Any information related to the fire extinguisher and other equipment used to detect fires should also be checked. 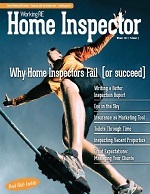 If an inspection is done for an investor, the inspector should also keep in mind previous utility bills. In fact, it is these combined with building and repair costs that can help to determine the exact value of the property. Matt Lee of Innovative Building Materials is a freelance writer who covers many different topics. He loves to write about both real estate investment and green building materials. Matt’s passion for home renovations and building architecture shows in each blog he writes.